Stay on top of the meeting, have an overview to follow. Use this introduction to ensure you are on the right track. Staying organized in a project is key. 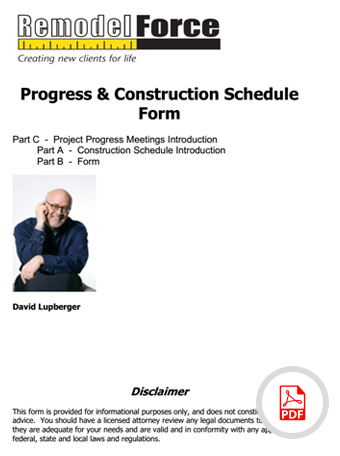 Including your client in the timeline of the construction schedule not only increases understanding and communication, but manages your clients expectations.